Reunions magazine covers topics from idea through event that help you plan family, class, military and other reunions. It captures the excitement of reunions. 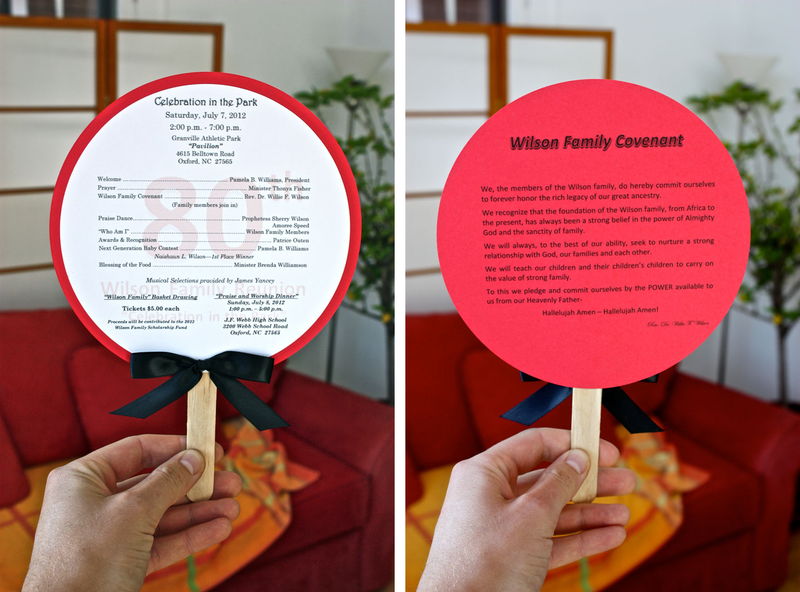 Content is reader-driven contributions from reunion planners, like you, who generously share their reunion planning triumphs, successes and lessons learned. 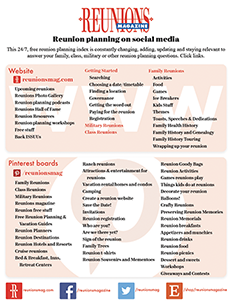 Reunions magazine is printed periodically but is always live on multi-media sources of reunion planning information. www.reunionsmag.com, podcasts, videos, Facebook, Twitter and Pinterest pages are all available on demand. The online ISSUU magazine is interactive and linked to website resources. From professional reunion planners to family, class, military and other reunion planners, Reunions magazine is recognized as the expert in its market. Media and advertising experts also recognize Reunions magazine’s unique position. Our readers know they can trust Reunions magazine to keep them informed. 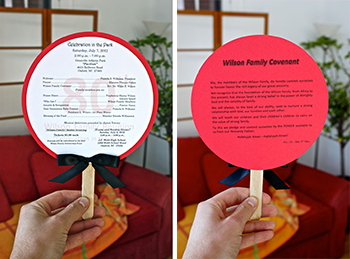 Businesses and services wanting to reach an audience of reunion planners, will find promotional possibilities in print and online. We’ve featured thousands of destinations, venues, services and products to help reunion planners. The magazine is mailed to 15,000 family, class, military and other reunion planners and read daily by thousands on the web. Contact us.